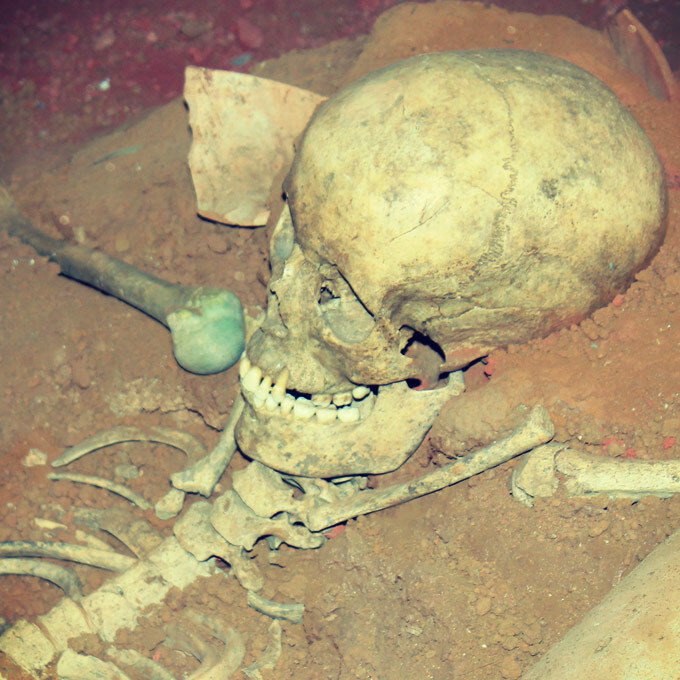 Body of girl found in Trench 1. Dating around the year 100 BC. Although the first archaeological excavations were made in 1933, as soon as in the sixteenth century Iesso had been identified by scholars, and in 1914 Eduard Camps I Cava presented to the Institut d’Estudis Catalans a report of the findings made in the Plana de Guissona from 1903 to 1913. The archaeological works made in the thirties were carried out by the Investigation Service of this important cultural institution and directed by the archaeologist Josep Colomines. It was a preventive excavation as a result of the sporadic finding of ancient constructions and ceramics in the Plaza del Vell Pla at Guissona, which belong were attributed to the late bronze Age and the beginning of Iron Age. After that, there was a long period of nearly forty years during which no systematic actions were performed and the pieces were kept and taken care of by local amateurs, some of them disciples of Eduard Camps, and many pieces, several of them very valuable ones, were found by hazard. The archaeological activity was resumed in 1975, as a result of some findings made in farm land in the northern area of the village. The remains that were found were thought to belong to a thermal building of Roman age, but the excavation could not be finished at that moment and we are presently working in this zone. In the seventies the excavation followed in other areas of the site and thus the first stratigraphic sequences and a first approach to the chronology of the city were obtained. It was also established that a part of the Roman city was under non-urbanized areas and farm land. Defensive tower of the Roman city of Iesso. In 1983, the Generalitat de Catalunya carried out some prospection works to surround the northern area of the site and as a result of this intervention some remains of the northern wall and gate were found. 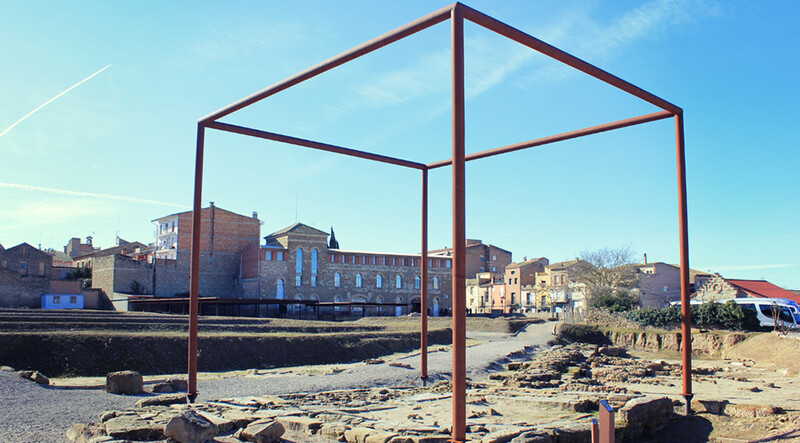 In the eighties the urbanistic plan of Guissona established the area as a zone of reserve of land for a future use as an archaeological park. Later, in 1990, the Diputació de Lleida and the Town Council of Guissona bought the land and called it Camp Primer (First Field), which would become the germ of the project. And from then on, summer after summer there are excavations carried out in the Parc Arqueològic, according to the financial resources available. In 1999, the Direcció General de Patrimoni Cultural de la Generalitat bought three other pieces of land, and from 2004, through a rent arrangement including the right to excavate, the whole space of the present Parc Arqueològic was created.